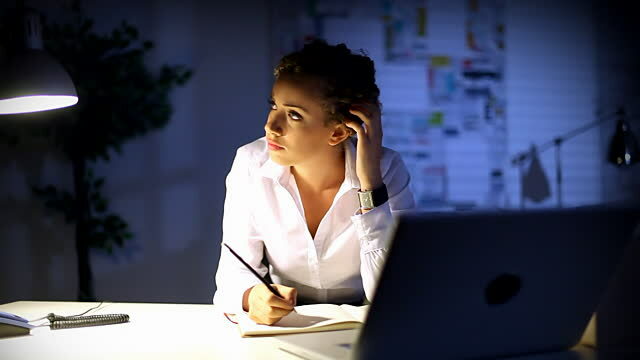 In the era of cutthroat competition and a demanding corporate work culture, employees are often seen working till late hours in their offices. Be it a deadline that needs to be met, or a crisis that needs to be managed, late working hours are no longer a rare occurrence in today’s professional world. This presents a very pressing concern regarding their health, well-being, and safety, and thus every organisation must adopt specific measures and enforce relevant rules and regulations designed to protect them against any threat or danger. Excessively long working hours on a regular basis, coupled with inadequate sleep, can start taking a huge toll on both the physical and mental health of employees. Therefore, policies and rules need to be enforced by the organisation which allow an employee to either come in late, or avail a paid day off after consecutive long days at work. This gives their bodies time to recuperate and recover, while the employees also get a break from the stress and tension of work. When an employee is required to stay back at office beyond the scheduled working hours, the company must ensure that his manager, as well as the HR, is aware of the same. It is also important to ascertain that his family knows of his whereabouts, and the office has his complete medical details like blood group, allergies, ailments he is suffering from, and other such information. Contact numbers of the family doctor and relatives should also be maintained in the office records.This helps ensure that help is readily available in case of an emergency while also reducing the stress and anxiety that family members experience on such days. The sedentary lifestyle that most corporate professionals have today, can take a huge toll on their health in the long run. In light of that, it is the organisation’s responsibility to ensure that the working conditions are optimal, with adequate lighting and ventilation, along with 24-hour access to canteens providing healthy food options, clean rest rooms, and sanitary and washing facilities. Working on the computer, in today’s industry, is a part of almost every professional’s job requirement, and as such, it is also essential that they take a break from staring at the screen once every hour. This helps protect them from several health risks and conditions such as carpal tunnel syndrome, as well as heart diseases and strokes. It is the responsibility of every organisation to not only ensure that there are appropriate leave policies in place for pregnant employees and new mothers, but to also take additional measures to make them feel comfortable and safe. If possible, they should be allowed to work from home for a period of time, and managers and HR must also ensure that they are not overworked or required to log in for additional hours, so that they are able to efficiently balance and manage their responsibilities at home and at work. If company transport cannot be provided, the organisation also needs to ensure that they face no hassles during their commute, and reach home safely every day. In order to ensure the safeguards put in place by the organisation to protect its employees are effective, regular maintenance and security checks must be conducted by it. This involves checking whether all the security devices are working correctly, including CCTV cameras, biometric scanners, and the like, as a single fault in the system could compromise the safety of all the occupants of the building. Additionally, the credentials of each and every security guard must be verified, along with conducting routine drills and training sessions to ensure they are equipped to deal with any kind of a crisis situation, as and when it may arise. Ref: https://www.entrepreneur.com & Ramesh Iyer.